Checkout periods for course reserves are 3 hours, 1 day, or 2 days at the instructor’s discretion. Hourly circulating items can be checked out overnight if they are checked out within 3 hours of the library’s closing time, and will be due back 1 hour after opening. 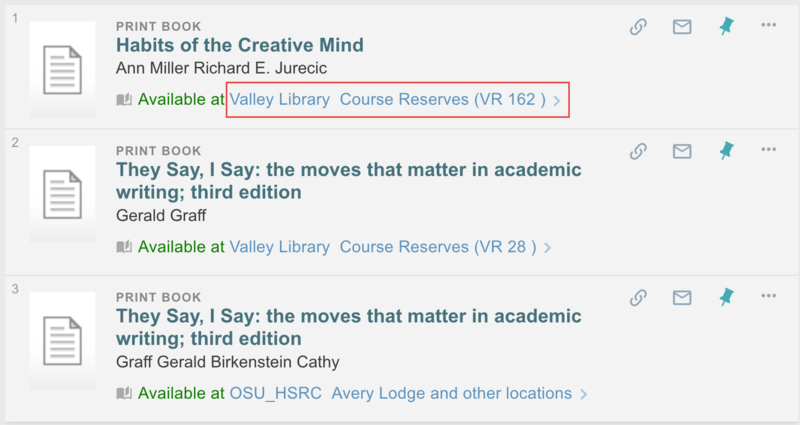 Course reserves are first come, first served, and cannot be recalled, held, or renewed. Patrons wishing to use the same material more than once in a day must wait 15 minutes between checkouts to allow other patrons access to the materials. Copy down the VR number of the item you want and take it to the Circulation Desk. 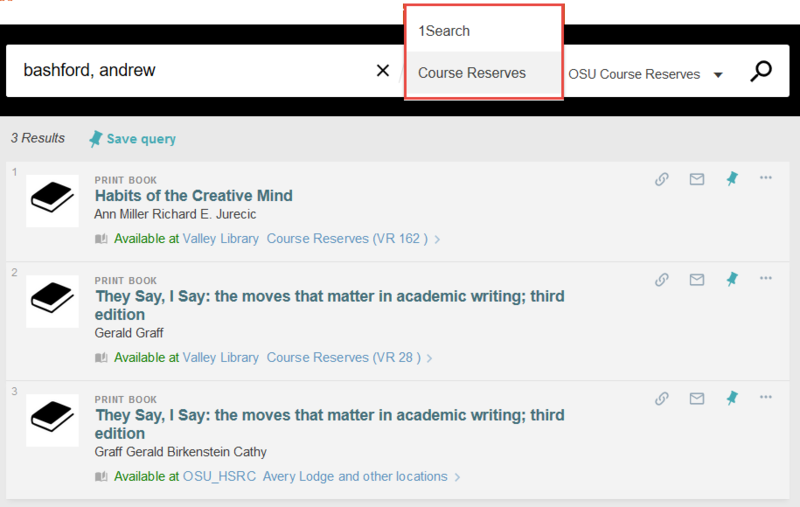 Switch between Course Reserves and searching in 1Search using the drop-down menu.